No strangers to Music City, Los Angeles alt rock outfit The Mowgli’s spent their first few years on the road constantly, and we were lucky enough to watch them go from a buzzed about band dropping in at hole in the wall venues to certifiable big club headliners, thanks to a series of love and positivity fueled major label efforts and radio primed singles. On the heels of new track “Real Good Life,” the band are newly independent once more, and seeking to recapture the spirit and communal nature of their earlier days with a more intimate, career-spanning tour, which hits The Basement East for their first Nashville show in a few years tonight, March 8. Joined by buzzy Brooklyn post-punks Mainland, this outing promises to provide the positive vibes we could all use a little more of nowadays, and tickets are still available right here. Read on for more about the show! Formed initially as something a collective, fusing various performers and projects in the Los Angeles- specifically Venice- musical scene, alt rockers The Mowgli’s cut their teeth with a revolving lineup (more than 10 members, at their height) and dizzying, DIY work ethic, performing hundreds of shows, sometimes multiple per day, in unconventional spaces and clubs around Venice, greater LA, and the broader southwest, rapidly developing a cult following ahead of self-released 2012 debut Sound the Drum. Soon attracting major label attention, the band rose to prominence with breakout single “San Francisco,” and their 2013 label debut Waiting for the Dawn cemented their national appeal, earning the band radio love, prominent tour and festival spots, television appearances, and commercial placements and collaborations. As they continued to tour tirelessly, the band’s appeal and headliner status managed to keep growing at a healthy pace, and with two subsequent major label efforts, 2015’s Kids in Love and 2016’s Where’d Your Weekend Go?, propelled by their breezy sound, eclectic instrumentation, and simultaneously substantive and feel-good thematic focus, The Mowgli’s have emerged one of alt rock’s most promising modern acts. Though it feels like not long ago we were able to catch the band in intimate spaces like The Stone Fox, it has, in fact, been both several years and a swift ascent, making their current, purposefully smaller tour, their first since becoming independent once more, a refreshing and likely very healthy return to form. Positive bands like The Mowgli’s feel more cathartic than ever in today’s turbulent and cynical world, so get the dose of love and positivity you need with their welcome Nashville return. New York post-punk outfit Mainland craft what is, perhaps, a moodier, more introspective, and more self-serious east coast foil to The Mowgli’s carefree, breezy west coast sensibilities, but with an eclectic array of influences and a penchant for pop hooks, they nonetheless feel like a worthwhile pairing. The band have been on our radar since their 2015 EP Outcast, and have spent the time since cutting their teeth on the road and releasing a series of successively more polished and confident singles, each earning the band increased buzz and attention throughout the blogosphere. Needless to say, you’ll want to show up early to see what they’re about. 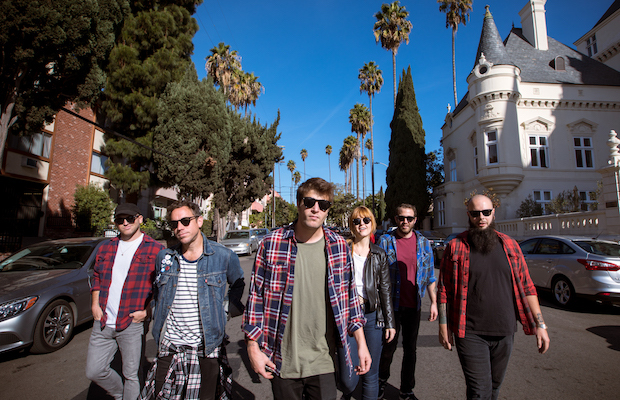 The Mowgli’s and Mainland will perform tonight, March 8 at The Basement East. The show is 18+, begins at 8 p.m. (doors at 7 p.m.), and tickets are available to purchase for $20. Catch Run the Jewels w/ Boots, Fashawn, & Cuz Lightyear | TONIGHT at Marathon Music Works! [NO COUNTRY PREMIERE] Get to Know The Outer Vibe, Hear New Song “Fionna,” & See Them TONIGHT @ Tin Roof!